Donta Hall - 6'9 - 230 lbs - Senior - Donta was the most improved player on the roster last season. 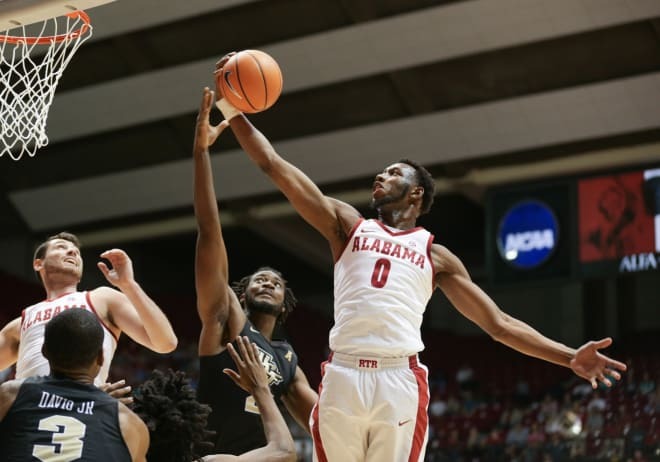 He had previously been a solid, if raw, player his first two seasons, but his improvement in his junior season provided Alabama its first consistent front court presence since JaMychal Green. If Donta continues that improvement this season, there's a chance he could be a draft pick next June. His numbers from last season: 10.6 ppg, 6.6 rpg, 2.0 bpg, 72.6% FG, 23.7 minutes per game. Riley Norris - 6'7 - 212 lbs - Senior - After an injury-shortened season in 17-18, Riley was awarded a fifth year of eligibility. It's good to have him back. His experience will be welcomed, and he should be a valuable role player. Assuming he's in good health, Riley's an underrated defender; and while he's not a consistent three-point threat (33% in his four seasons), opposing teams will have to respect his ability to knock down the shot when he's on the floor. Perhaps his greatest asset will be providing more toughness for a team that was, in my opinion, a little soft at times last season. Diante Wood Out Four Months Following Ankle Surgery; Dazon Ingram Is "Day-to-day"
Tuesday was the first official day of practice for the Alabama men's basketball team. Avery Johnson briefly addressed the media. Freshman Diante Wood will be out four months following ankle surgery. As a result Diante may redshirt this season. Avery also mentioned that Dazon is "day-to-day" with a sprained ankle. Not great news for the first day of practice. Hopefully the team can avoid the litany of injuries that were an issue last season. It's hard to believe, but we're six weeks away from a new basketball season. While last season had its share of ups and downs, the team did ultimately achieve its goal of returning the program to the NCAA Tournament. That was a big step forward for the program under Avery Johnson. The next step is to build on that success by becoming the type of program that can consistently compete in the tournament. 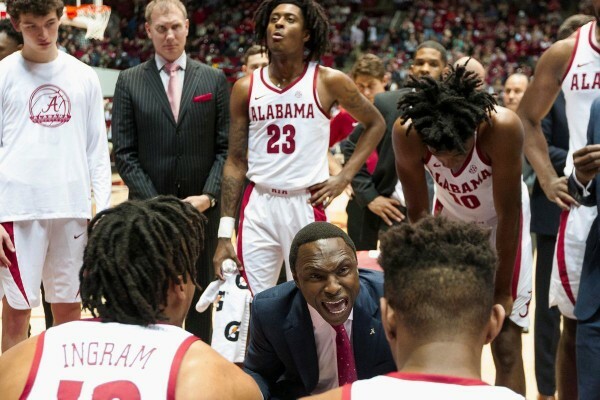 While Collin Sexton left school for the NBA, and Braxton Key transferred, Avery Johnson does return a talented and experienced roster (three seniors, three juniors, and four sophomores that all played meaningful minutes a season ago) that should be good enough to keep this Alabama program in contention for an NCAA bid. Let's meet the roster, starting with the guards. Alabama quietly added an exhibition game with Montevallo to its schedule. And no, I don't constantly look at the Alabama schedule page....who does that? Anyway, the game is scheduled for Tuesday, October 30th. That's a week prior to the season opener versus Southern. No game time has been announced yet. We are 60 days from the opening day of the season (53 if you count the exhibition). Tua is fun and all that, but I'm ready for basketball.